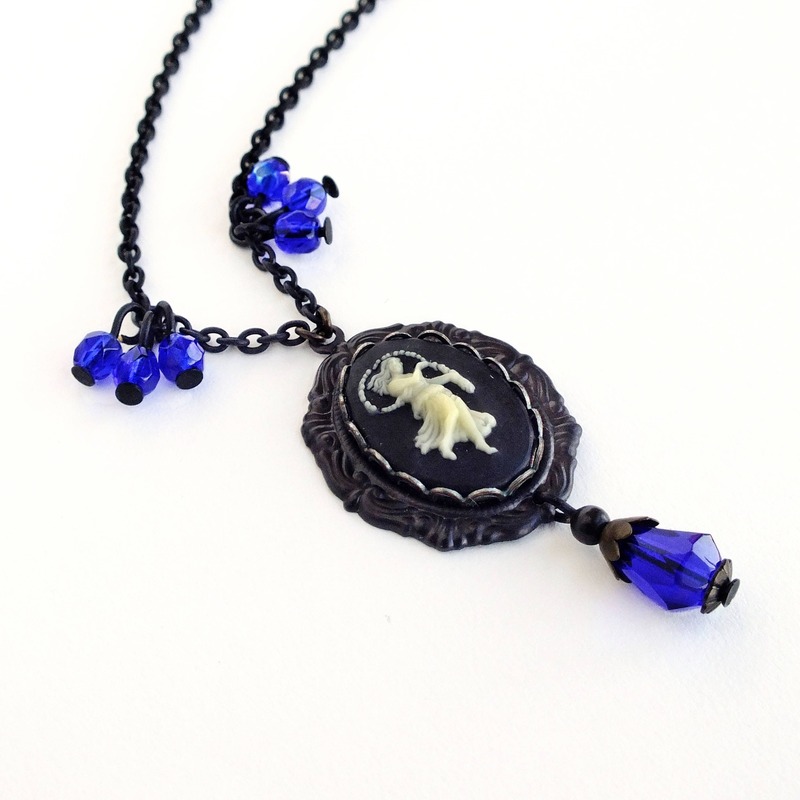 Handmade Virgo zodiac cameo pendant necklace with vintage black and white cameo and cobalt blue beads. 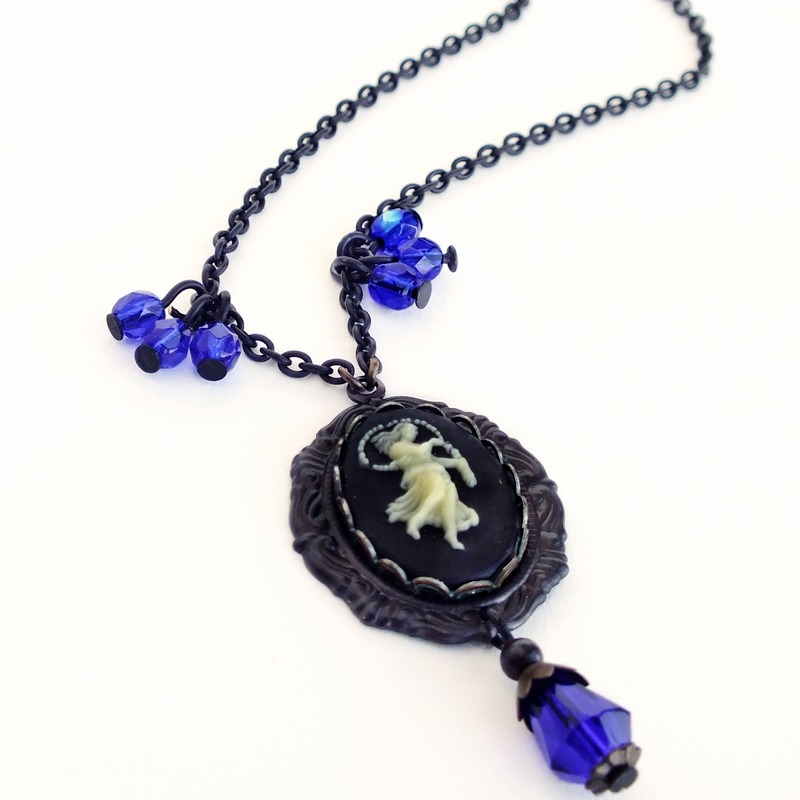 US made oxidized brass components and chain. Cameo w/ settings 7/8 x 1 3/4 inch - 2.2 x 4.3 cm. 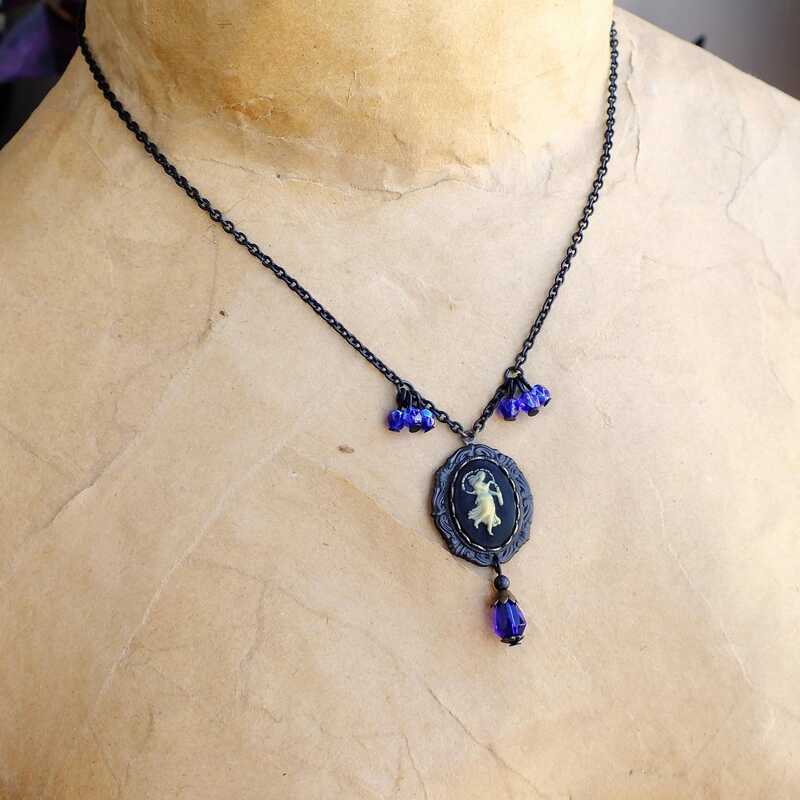 Small pendant necklace made with a genuine vintage delicately detailed Victorian style Virgo cameo. 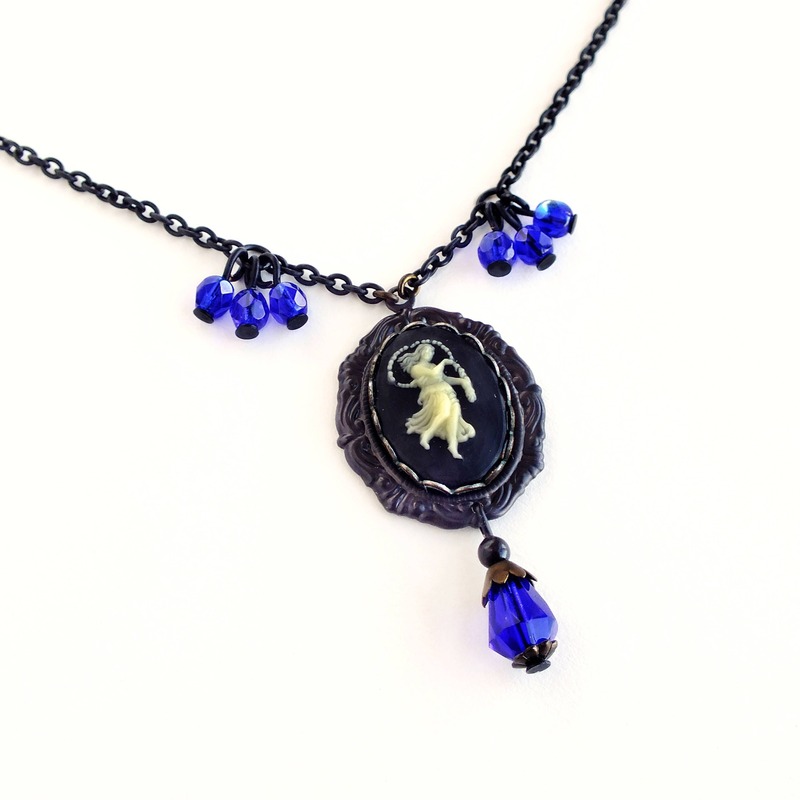 Set in a double Rococo style oxidized brass frame adorned with a cobalt blue glass bead dangle. 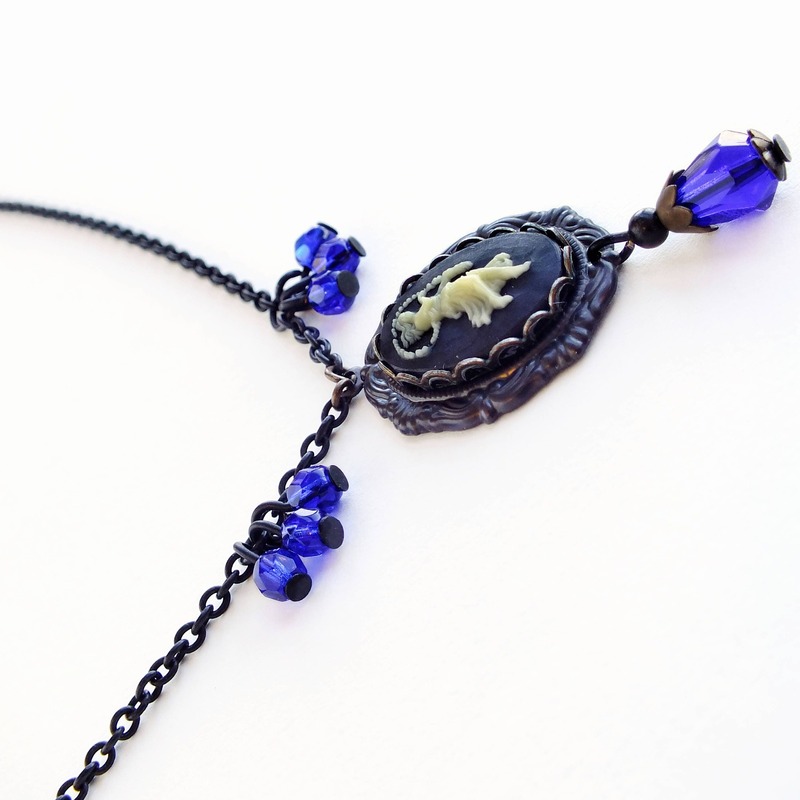 Hung from a dainty oxidized brass chain adorned with iridescent Sapphire blue Czech glass beads.